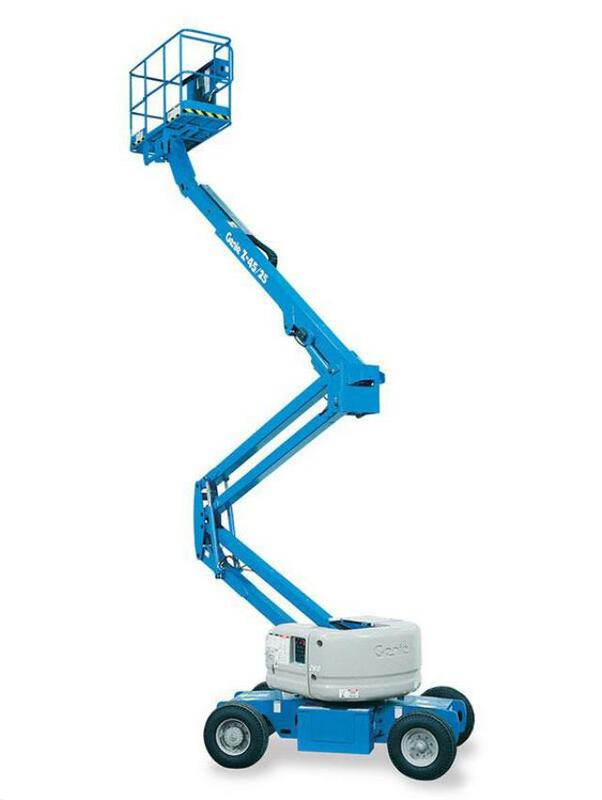 When comparing prices on 45' boom lift rentals in Gilroy, San Jose and the Hollister, ask about sales tax and environmental fees. 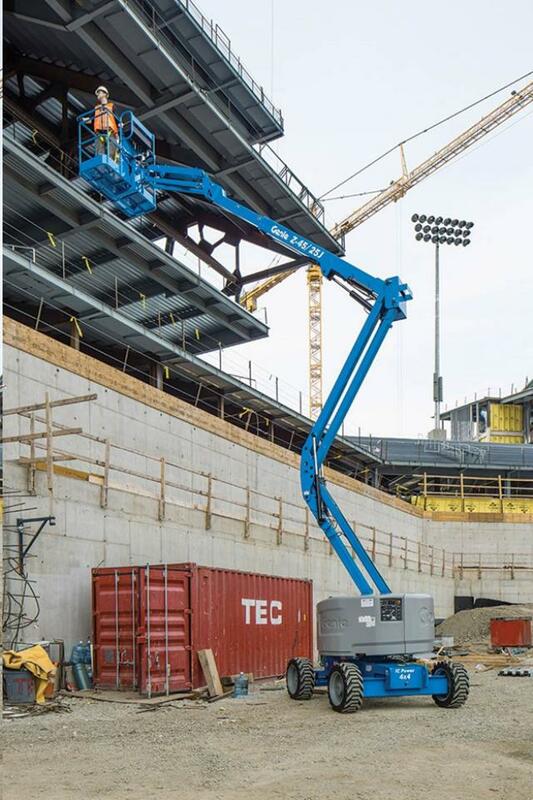 Up and over clearance of over 23' 6"
Platform Inside Dimensions 27" x 70"
Maximum Platform Height 46' 2"
A new Safety Harness is issued with every boom lift rental as a sale item only. If you already have your own, you may return any unopened packages for a full refund at the completion of the rental. 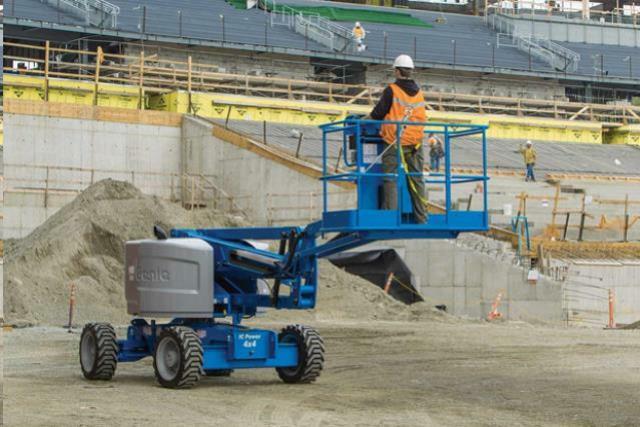 * Please call us for any questions on our 45 foot genie z45/25 personnel boom lift rentals in San Jose, Campbell, Salinas, Santa Cruz, Watsonville, Morgan Hill, Hollister, Santa Clara, Gilroy, Milpitas Sunnyvale, Fremont, Salinas, the Greater Bay Area and the Monterey Peninsula.